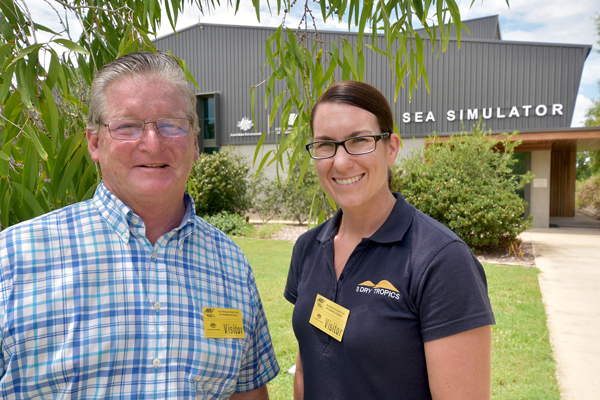 A group of Burdekin cane farmers visited the Townsville Australian Institute of Marine Science (AIMS) in March to foster more meaningful dialogue between farmers and scientists to produce long-term engagement with farmers. 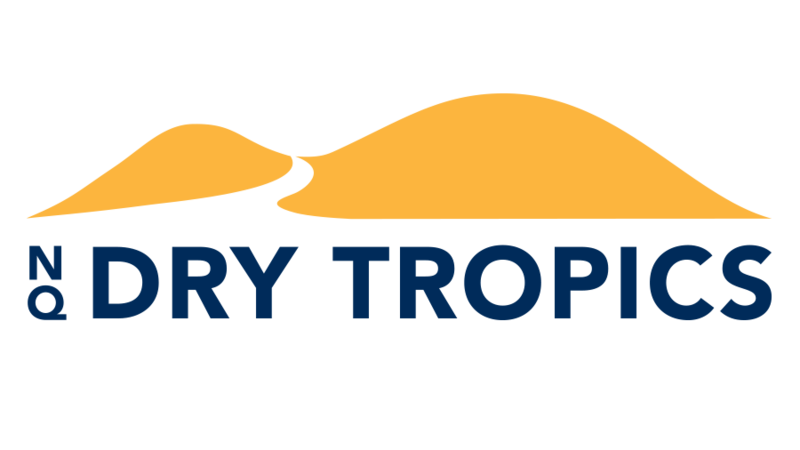 The NQ Dry Tropics event was designed to help promote a better understanding between farmers and scientists, and was part of NQ Dry Tropics’ Connecting Burdekin Cane Farmers To Their Local Wetlands project, funded by the Queensland Department of Environment and Science. The visit to AIMS was organised to help bridge the gap between farmers and the science underpinning the water quality of the Great Barrier Reef (GBR) and how land runoff affects it. During the initial research phase of the project, it was found that many farmers distrust the science and media when it comes to reporting on the current health and status of the GBR. This event aimed to give the local farming community greater understanding and confidence in water quality science. Highlights of the day included a visit to the National Sea Simulator – the only one of its kind in the world. Known as the SeaSim, it allows marine scientists to replicate water conditions on the GBR, by pumping three million litres of filtered seawater a day via 42.4km of pipework. Attendees also heard from AIMS Senior Principal Research Scientist Dr Janice Lough, who spoke about how corals are “natural history books” that can teach us about past climate and environment. Dr Lough said that the skeletons of certain massive corals contain annual density bands, similar to tree rings, which are visible when coral slices are X-rayed. When placed under ultraviolet light, slices of corals from nearshore reefs show bright luminescent lines that are directly related to the occurrence and intensity of freshwater flood and rainfall events on the Great Barrier Reef. These records have allowed AIMS scientists to reconstruct Burdekin River flow back to the 1640s, triple the length of the instrumental gauged period. Burdekin cane farmer Pat Cremin said more growers should visit AIMS to get a picture of what goes on behind the scenes. “If farmers are to be part of the water quality solution, they need access and communication lines to government, policy makers and scientists to help come up with workable solutions,” he said. “NQ Dry Tropics provided that opportunity by arranging a visit to AIMS. We heard scientists talk about their research, the hypotheses and methodologies that sit around the research, and the results to date – and we got to ask questions. “As a result I feel confident that sophisticated trials are being used to get the best possible picture of what is happening with regard to water quality in the Burdekin catchment and the Great Barrier Reef,” Mr Cremin said. Wetlands in the Lower Burdekin of North Queensland are under threat from altered hydrology, loss of connectivity, loss and disturbance of native species and habitat, decline in water quality and soil chemistry, and introduction of pest species. The region supports significant coastal development including the important sugarcane production industry, where irrigated water is supplied to farms through a complex system of natural and artificial drainage channels. This has altered the natural seasonality of the wetlands and allowed for dense weed chokes to flourish. Runoff from the prefered furrow irrigation practice also enters the wetlands and waterways and further contributes to poor water quality and increased weeds. The long-term health and resilience of the Great Barrier Reef (GBR) relies on healthy coastal wetland ecosystems, and restoring these ecosystems can improve the water quality and the Reef’s ability to bounce back from bleaching events and other climate change related stressors. The Connecting Burdekin Cane Farmers To Their Local Wetlands project aims to equip farmers with knowledge about how improved irrigation practices can benefit Lower Burdekin wetlands and the GBR. In collaboration with Burdekin Bowen Integrated Floodplain Management Advisory Committee Inc. the project combines on-farm water monitoring, wetland monitoring, extension and education activities. Funded under the Department of Environment and Science Reef Water Quality Science Program, it is based at two demonstration sites: Horseshoe Lagoon (in the Burdekin River Irrigation Area) and Lilliesmere Lagoon (in the Burdekin Delta Area). It provides cane farmers with free on and off-farm data in real time, interpretation of the results, and support from project staff and agronomists to make changes to benefit both their bottom line and improving local wetland health.